"As long as they know that you have balls, Philly digs you," said Jim Florentine, who appears Thursday through Saturday at Punch Line Philly. Whenever you hear Jim Florentine’s crackling, flinty baritone voice, you brace yourself for something sarcastic. It could be his years on Comedy Central’s puppet-fueled "Crank Yankers," his near-decade-long "That Metal Show" on VH1, his snarky podcast "Comedy Metal Midgets," or his stand-up, the likes of which he’ll repeat from August 17 to August 19 at Punch Line Philly. You just expect him to crack wise – and not just on your foibles, but his own. If you can’t make light of yourself, making comedy is just not worth it. “That’s why Rodney Dangerfield is one of my comedy heroes,” said Florentine. Florentine isn’t just a fan of Dangerfield’s self-deprecation. He also appreciates the manner in which the legend (“with no respect, he still doesn’t get it”) plied his trade. Finding his voice on stage within a decade of his start meant that Florentine had to become “more open and honest with myself and my audiences so that we could relate to each other.” It meant coming to terms with his [then] long-held Catholic guilt. Florentine’s deeply caustic comedy also benefitted from the punch-to-the-gut feel of heavy metal rock-n-roll that he loved since childhood. “That was my music growing up…still is, that energy,” he said, segueing into a brief discussion of his VH1 Network "That Metal Show," which ended in 2015. “That was their show,” he said of the genre’s heads. “Every Saturday night, metal fans made that a thing, and I am proud and happy to have been there.” Yes, Florentine still gets devil horns of appreciation for his time-in to metal and its’ promotion. Anti-Catholic rage, heavy metal thunder and dangerous levels of Dangerfield-ian self-deprecation made Florentine into a bitingly edgy comedian with a fantastic dark side (and fans in Howard Stern and Eminem). The Florentine edge was so bleak and cutting that he is one of the few comics whose pilot got turned down by Comedy Central for being too mean-spirited; and this was after his network success at "Crank Yankers" as Special Ed. “With that 'Meet the Creeps' pilot, we were ahead of our time,” Florentine said of his self-created hidden camera series whose DVDs can be purchased on his website, along with other albums and specials. The process of how Florentine comes up with new stand-up sets comes down to a matter of having experiences, processing them, then getting on a stage as quickly as possible to work it out. One monster he won’t let into his Frankenstein process is Donald Trump, or much of politics in general. Before coming to town this week, Florentine reminds me that he’s a Central New Jersey native who spent plenty of time in the Philadelphia area’s clubs. 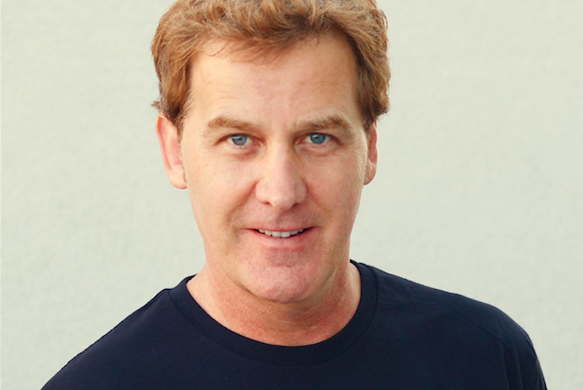 Jim Florentine appears Thursday through Saturday, August 17 to 19, at Punch Line Philly, 33 E. Laurel St. Tickets are $22.50-$16.50. Show times are 7:30, 8, 9:45 and 10:15 p.m. throughout the run. For more information, call 215-606-6555 or click here.